Serving video in an enterprise environment has its own set of challenges, and Wayne Waterman of Intel Studios is an expert. To find out how the chip giant deals with the struggles of serving video to tens of thousands of employees, we sat down with Waterman for a red carpet interview during the recent Streaming Media East conference. The rise in mobile workers and mobile devices is creating new challenges for internal video. As Waterman explains, access and security are the primary hurdles. "Mobile access is a very big concern," says Waterman. "The technical difficulties and technical challenges, getting to the mobile devices, are (a), if it's over 3G/4G, you've got to make certain that people know that data does cost money. And when it comes to the wireless, what wireless devices can actually attach to the network. And the sales force is by nature mobile, and so they want to be able to bring it down to their phone and watch it from the device rather than over the network. But, as soon as you're bringing stuff like that down you have to have some way to secure it so that it doesn't get taken and repurposed for something that would hurt Intel." So how does Intel secure that mobile video? "Encryption and DRM for protecting the content, and user education, pretty much, is the only way that you can handle the 3G/4G data issue," explains Waterman. "And right now, wireless, they're making great strides, but it's not there yet." To view the entire interview, watch the video below. Troy Dreier: Hi. 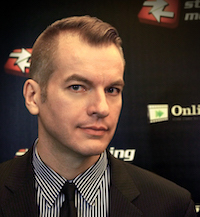 This is Troy Dreier coming to you from the red carpet at Streaming Media East. I'm joined today with Wayne Waterman of Intel Studios. Wayne creates video for internal and external use at Intel. Hi, Wayne. Troy Dreier: So I guess most of your video that you create is for internal. Wayne Waterman: About 90 percent of the video that we do is internally focused, yes. Troy Dreier: And I know with internal video, the big problem I always hear is how could you do it without slamming the whole network? Because you must have to serve to thousands of people. Wayne Waterman: Tens of thousands. Troy Dreier: Tens of thousands of people. How do you do that without destroying your bandwidth? Wayne Waterman: Multicast is pretty much in in the enterprise. The only way other than landing hundreds and hundreds of servers out there to handle you in a cast as a cache edge, so 90-plus percent of the videos that are viewed they get via Multicast. And unicast is done for VPN and for the wireless users, or actually even moving into distributing Multicast over wireless. Troy Dreier: And you serve both live and then you archive it? Wayne Waterman: Everything that we do live is available on-demand unless they specifically say, "Don't." There are some cases where that happens. Troy Dreier: What kind of internal video library do you have? Wayne Waterman: Extensive. And storage is always an issue that you have to take care of. Fortunately, storage is getting cheaper and cheaper. Troy Dreier: And I understand that as online video gets more professional looking, people have rising expectations for corporate video as well. Wayne Waterman: It's true. And for a good long time, 320 by 240 was the standard video for streaming, and we're upping that to 640 by 480 for some of the things that we do. But a lot of people want HD. And the difficulty in hitting HD is right now we have to serve the lowest common denominator for network bandwidth-wise. And that is going to be your wireless access points and the restrained VPN gateways. So the recent stuff that's going on with adaptive bitrate, where we can serve a very, very high bitrate stream to the people who are wired and getting Multicast but have that drop down to a 300k stream for people who are over VPN is going to be the way we do that. But always up the bitrate, always up the frame size. Troy Dreier: So you haven't gotten into adaptive yet? Wayne Waterman: We have not gotten into adaptive yet internally. Because there are still some threshold difficulties there. But externally, almost everything that we do now is adaptive. Troy Dreier: And adaptive will work with Multicast? Wayne Waterman: No. That is the primary difficulty. Like, even Microsoft with Smooth Streaming, they have said, "Coming soon for the Multicast Smooth Streaming" for about a year now. And coming up with a mechanism to find out when you're going to drop down to those lower bitrates is very difficult when it's Multicast. Because the client that is receiving the Multicast stream doesn't know anything about the server. They're just joining that Multicast IP range. But there was some stuff they were talking about yesterday with MPEG DASH and what they're talking about building into the manifest file, different ways to figure out when to bring in the fragments Multicast, or when to bring in the fragments unicast. That's going to be the solution to get to that Multicast adaptive. Troy Dreier: What's your guess for a time frame? Wayne Waterman: Not soon enough. Troy Dreier: Your viewers are clamoring for it. Wayne Waterman: I know my viewers are clamoring for the highest quality streaming that they can get. And right now most of my viewers aren't seeing the highest stream they can get. They're seeing the highest quality stream that the lowest common denominator person can get. Troy Dreier: Right. So with tens of thousands of viewers, you must have several who are hearing impaired and want to see captions. And I know captioning for internal use is a big topic right now. Is that something you're providing? Wayne Waterman: We do provide it at any request, when somebody says, "I really want to watch this webcast, but I have hearing impairment," we send it outside, we have it transcript, we have it close captioned. We bring it back in, we let them see it on-demand. EV is going to be important to start to be able to do that while it's live. And I'm investigating that, but first there's finding the right way to do it, then there's getting the funding to do it. Troy Dreier: Is it a big expense, live captioning? Wayne Waterman: Well, you're indexing video as it's coming through, and that's a lot of processing power. Fortunately, we have Sandy Bridge and Ivy Bridge now. That'll make things easier, but there's a lot of processing that goes into that. Troy Dreier: Do you think the solution you settle on, you think it will be a human doing the captioning or do you think it will be computer driven? Wayne Waterman: I don't think you could ever scale a human doing it. With the number of webcasts that we do, you would have to have many, many people all over the planet full-time just to do that. Troy Dreier: How many do you do daily or weekly? Wayne Waterman: We did 400-plus webcasts in 2011, so more than one a day. Troy Dreier: So just constantly keeping it rolling. Troy Dreier: Well, then you would know what content works best. Do you look at analytics? Do you see what people respond to? Wayne Waterman: I do indeed. There are two types of analytics. One I think is solely underrepresented. One set of metrics is for the clients, which is how many people watched, how long did they watch, and did they enjoy it? But there's the other set of metrics for the network side of things. Was there any packet loss, was there any frame skipping, was there an unusual amount of buffering? And I need to get that information so that I can go to the network team and have them correct the problems. If you say, "People had a problem and couldn't watch," and that's the data that you give, it doesn't give the network guys anything to work with. But if you hand them logs that say, "On this subnet there, all of the people on that subnet were dropping 15 percent of their packets and here's the log thereof of all of the subnets and IPs," the network guys actually usually get kind of excited about that sort of data, because that's where it exists and they know what to do about it. But metrics are very, very important. If you can't track that it happened, it didn't happen. Troy Dreier: Well, how about metrics for the content itself, for what you're putting on? Wayne Waterman: So we have collected that sort of metrics, including surveys, "Did you enjoy it?" sort of thing ever since we've been running webcasts. I don't think that people read metrics enough and we provide when people join, how long they stayed, when they dropped off, but it doesn't really seem to impact the choices that people make in whether they're going to do a webcast or not. Troy Dreier: There's no programming decisions based on that. Wayne Waterman: None that have come to my awareness. Troy Dreier: Well, for companies watching this who are thinking about, "What should I show to my employees?" is it the chief executives addressing the people works well or product demos, new product announcements? What gets people more excited? Wayne Waterman: Well, the excited is the product launches, the sales conferences, the CEO talking to them, and even the group leaders. We do once a quarter-all of the groups do business update meetings and almost all of those are webcast, and reduces travel a good deal. But there's a lot more short format video coming on and we need to do more short format. Most webcasts are too long. Troy Dreier: With so many mobile workers, you must have tons of people out in the field now who want access to your video. 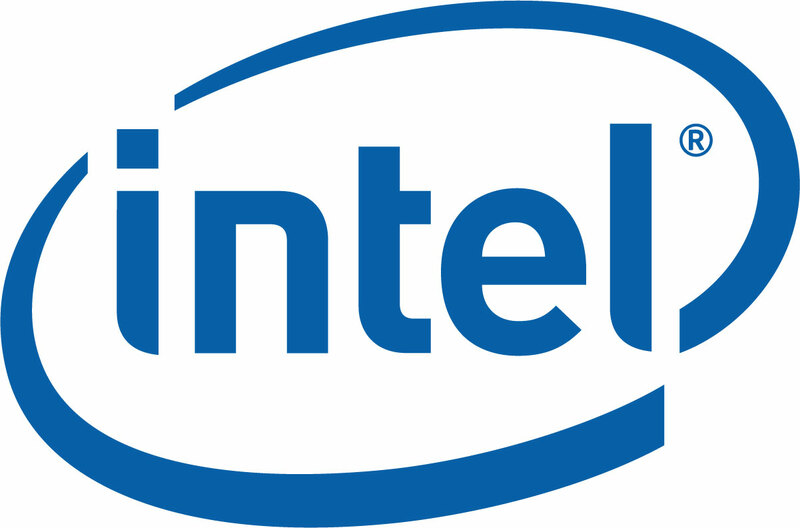 Is mobile access a big concern at Intel? Wayne Waterman: Mobile access is a very big concern. The technical difficulties and technical challenges, getting to the mobile devices, are A, if it's over 3G, 4G, you've got to make certain that people know that data does cost money. And when it comes to the wireless, what wireless devices can actually attach to the network. And the sales force is by nature mobile, and so they want to be able to bring it down to their phone and watch it from the device rather than over the network. But as soon as you're bringing stuff like that down you have to have some way to secure it so that it doesn't get taken and repurposed for something that would hurt Intel. Troy Dreier: Right. So what do you do? What are your solutions? Wayne Waterman: Encryption and DRM for protecting the content, and user education, pretty much, is the only way that you can handle the 3G, 4G data issue. And right now, wireless, they're making great strides, but it's not there yet. Troy Dreier: So are you streaming right now to all major devices, platforms? Wayne Waterman: I am not. I'm streaming to, or at least internally, I am streaming to the desktop. Troy Dreier: But you said you were streaming to mobile, right? Wayne Waterman: Externally we can stream to mobile. Internally we cannot do that. We need to do that. I want to do that and we're in process of putting things in place to do that. But in an enterprise as far-flung as Intel is and as large as Intel is, there are many things that you have to get through. And once you get past the, "This is the product," and the network guys buy off and the security buys off and you start to implement, sometimes people change their minds because they learned something that they didn't know before. Troy Dreier: Okay. Well, thank you for joining me, Wayne. Coming to you from Streaming Media East from the Red Carpet, this is Troy Dreier. Thanks. The real challenge in creating a breakthrough set-top box is providing access to unbundled premium channels. Real will gain $120 million from the sale of 190 patents, 170 patent applications, and video codec software.